Have just had the most delicious eggs benedict ever. So delicious I think it’s time I share my local treasure hidden amongst the Sutherland shire Sydney. The area is quite relaxed and cool. Walking into three beans is like walking from a tiki tour in the hottest sun of the shire into the ritz. 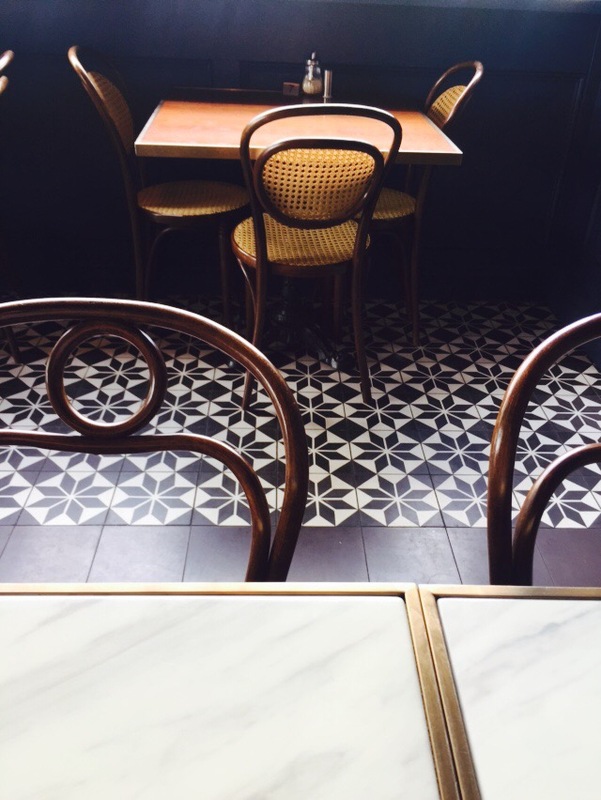 Beautiful marble tables with old clawed feet on a black and white geometric tiled floor. 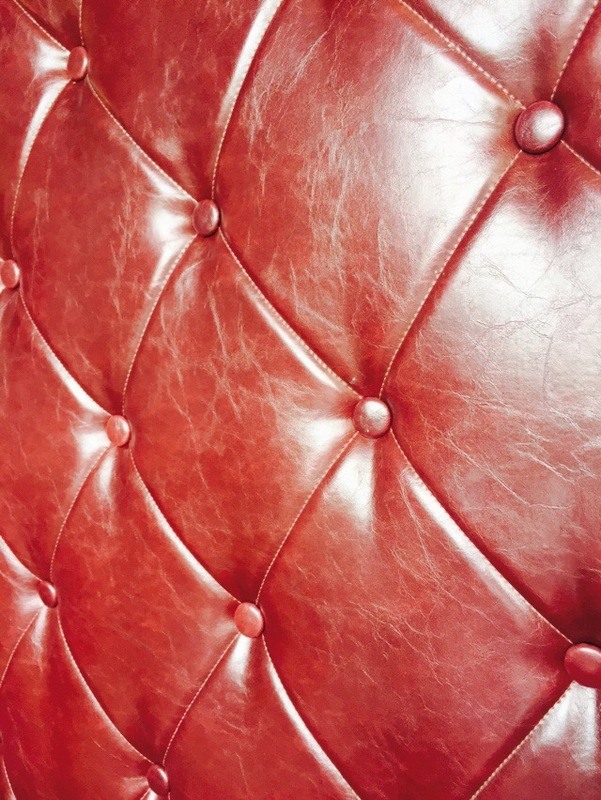 The chairs are all wooden cane with large sitting lounge that has a beautiful maroon leather head rest. The walls are dark grey blue. 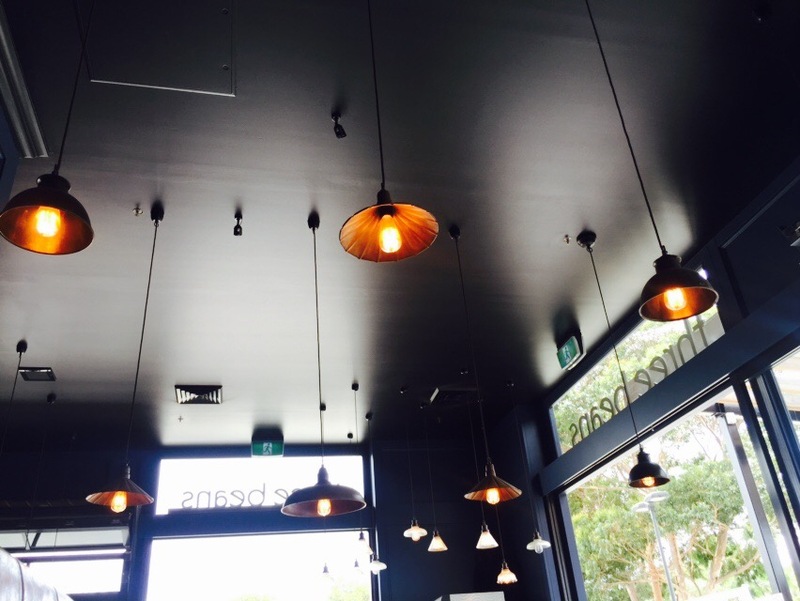 The lighting is all industrial contemporary adding a nice blend of past and present that makes this cafe feel like a trendy home amongst the laid back shire lifestyle. 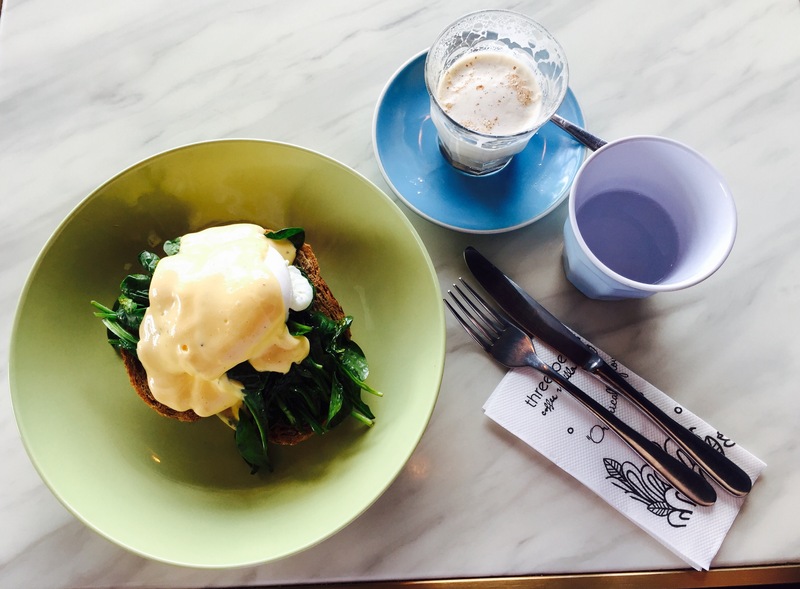 The eggs bene with spinach and hollandaise at Three Beans Kareela is a bit more than amazing. The flavours melt in your mouth with the slightest and purest tang of vinegar which tells me the eggs have been cooked right. Whilst never overpowering the gooey perfectly poached eggs. The hollandaise is of perfect consistency however tastes like it’s made in house which is a very difficult dressing to perfect. That being said the lovely and gorgeous young barista makes a very delicious chai latte as well. 10/10 stars. Everything was on point. 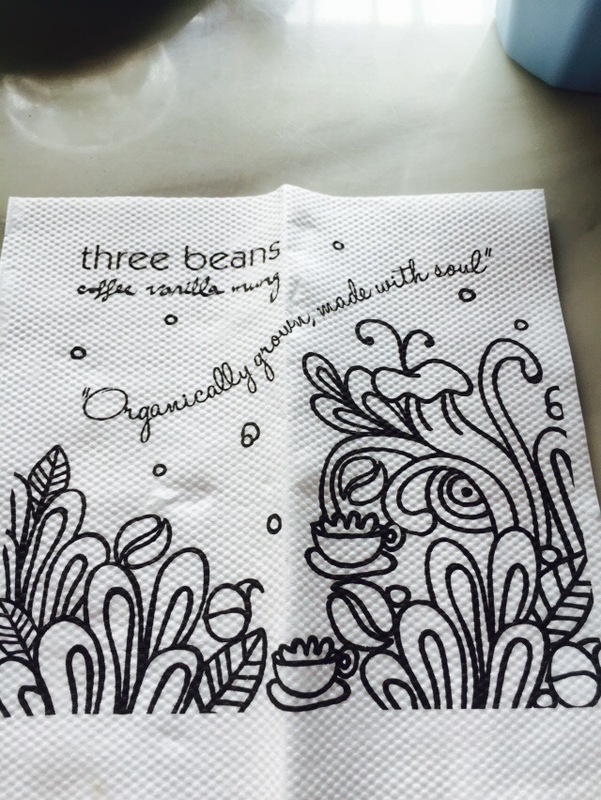 Even admiringly the printed napkins Three beans- “organically grown made with soul”.